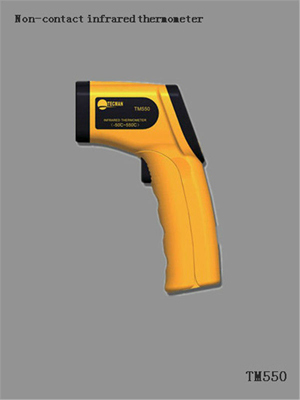 Specifications: BNQ 580 BNQ 580 handheld non-contact infrared thermometer -50°C ~ 580°C, distance than 12:1, safe to use in a stable and solid temperature measuring instrument, the best choice of traditional temperature measurement! Infrared temperature measurement instrument has the advantages of small volume, convenient carrying, laser indication can be conveniently and accurately measure the temperature of the target, it is an ideal tool for non-contact temperature measurement diagnosis. Can be widely used in heating, ventilation, electricity, transportation and other fields.